Frank van Bouwelen holds an MSc in material science from Delft University in the Netherlands and a PhD from Cambridge University. Mr van Bouwelen has previously worked in South Africa and the Netherlands, having gained experience in research, industrial and legal environments before he qualified as a Dutch and European patent attorney. In 2005 he joined HOFFMANN EITLE’s Munich office, but remained active in serving clients from the Netherlands and representing clients from abroad before the Dutch Patent Office and the Dutch Patent Court. 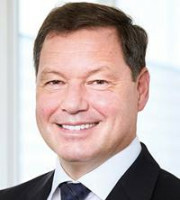 He is also president of Hoffmann Eitle BV in Amsterdam. Mr van Bouwelen works closely with clients and is in touch with inventors and board-level executives. He coordinates parallel prosecution and represents clients before the European Patent Office on all levels, predominantly during opposition proceedings. He is actively involved with globally running enforcement actions. Although Mr van Bouwelen thoroughly enjoys IP and legal matters from an academic point of view, he focuses and advises on clients’ business strategy. Mr van Bouwelen handles cases within a wide variety of mechanical subject matter. However, the majority of his cases are in the field of medical devices, sealing systems for extreme conditions and pipe-based infrastructural systems. In addition to his case work, he frequently travels to Asia, the United States and within Europe to participate in conferences, and for face-to-face meetings with clients. As a partner, Mr van Bouwelen also has responsibilities in the management of the firm.